The focus on functionality, creativity and technical knowledge in decorating, organizing, planning, and managing the room design has gained much more importance, targeting which, meroproperty.com offers you the services through the best interior designer in Nepal. Due to difference in preferences, lifestyle, and needs, what might be aesthetically attractive to one person, may not be so for another. In addition to that, people often take the architect’s plan and design for granted, feeling hesitant to have their insight incorporated into the plan. Sometimes, you might not know what could have been made better or improved or altered until you are using. Making new alteration increases your cost, so does tearing down the wall of your office every one or two year after the original design. Meroproperty.com provides you the best layout for your home and office, with the perfect room décor, paint colour, lightening, boiler stoves, Blinds, etc., ensuring your preferences, and functionality to match with your need and lifestyle. Do not make us your second choice, for, spending every day in the room whose design you don’t like is overwhelming, and you might not want to increase your cost of design which wouldn’t have incurred had you made us your first priority before. Interior designing for restaurant include balancing the seating capacity, managing restaurant music, fixing the problem areas, restrooms, heating and ventilation, acoustical design, aroma design, refrigeration needs, storage needs, menu design, doorknobs design, etc. 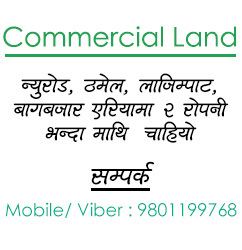 Meroproperty.com offers these services in Kathmandu restaurant and other parts of Nepal. The design you choose carries its strong narrative, and gives space for effortless and seamless functional operations. Apart from knowing the market, you have to have ideas about the trends. We provide you the best interior design for your restaurant, keeping in mind the current trend, localization, and your personal preference. You might love sunny and bright with classic touch of modern décor, or a kitchen with polished metallic surfaces and futuristic outlook. Movable bar, rolling ladder for high cabinets, cabinets filling up adequate space, dynamic and simple shelf, tiled walls, racks, etc. are some of the important items that you might want to focus in your project. It starts with proper planning about the space for storage, the position of window for natural light, power sources for existing and new home appliances, adequate counter space with smooth surface, safety concerns, and so forth. You would not love to enjoy your dishes in the interior you aren’t satisfied with. Meroproprty.com offers you the best kitchen design in Nepal. Our experienced and proactive designers shall ensure that the design satisfies you, avails plenty of space for kitchen work seamlessly, and match with your lifestyle. The dimension of the bedroom is the very first thing that hints towards how a bed or wardrobe shall be kept, or what kinds of furniture are best to purchase. A bedroom should get good natural light to energize you as you wake up in the morning, and should have beautiful bed designs. You might want small ventilators above the room to let the hot air escape from your bedroom. There should be plenty of space for movement within the room, and also to move in and out of the room. Bedroom decoration plays a vital role in relaxing you with comfortable and beautiful atmosphere. Our designers have been winning the trust of clients for bedroom interior design, and have always proved to have found new and creative ways to improve themselves. Interior design for café is the very first and only opportunity to impress your customer when he/she enters your cafeteria, which also determines whether the guest shall visit you again. Thus, never fail your café in the eyes of your guest the moment he/she visits you. The simplicity of design along with some decoration, cozy and high quality furniture, chairs, tables, some facing a wall or bookshelf or any structure, the lights bright enough to let the customers enjoy their intimae environment, hunger-inducing and intimidating smell of food and beverages, etc. are some of the concerns you might want to pay attention to. Meroproperty.com offers you the best talented designer for Kathmandu restaurant. You shall be amazed to realize how a correct choice of designer makes drastic change in the flow of guests. The way you place a furniture influences how people shall enter, navigate and exit from the living room. Symmetrical living room design, matching and mixing textures, colours, and patterns, appropriate area rug at the centre of the room, arrangement of several styles of light fixtures, artworks to frame height and depth, and the functionality are some of the important factors that only a proactive and creative designer can do. You might not want to shatter the light fixture you hate illuminating at your best corner of the room. With Meroproperty.com, you can rest assured about the exquisite living room décor that shall be very comfortable and inviting. Home interior design is the personality of your home, which has epidemic effects on the visitors. You have to be clear about what kinds of room you want, for what purpose, and equipped with what kinds of technical requirements. The colour of your walls, quality, quantity and arrangement of your furniture and rugs, placement of collectibles and artworks, the complement or contrast of outer designs with the interiors, etc. are some of the important factors to consider for home design in Nepal. We offer you the best designing package and best designers for interior design of your home. Be it a simple house design in Nepal, or a home with modernistic outlook, or home with ancient story, meroproperty.com shall always grant you more than mere satisfaction. No need to panic for modern house design in Nepal, meroproperty.com has the best arrangement for you. We shall start with identifying the focal point of your rooms, that shall lead to the aligning the best furniture arrangement as per the dimensions of the rooms. Ventilation, lightening, arrangement of bedroom, living room, kitchen, etc. play major role in defining the intent of the members residing in a house. You might not have to consider more about house design in Kathmandu, especially, if you have a small house. Whatever be the size of your house, or the number of your rooms, our best interior designer shall make every attempt to please you as you spend time in your house.